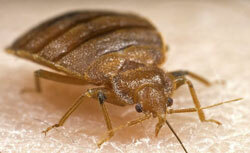 "Bed bug photos can be helpful in identifying the bugs in your home. 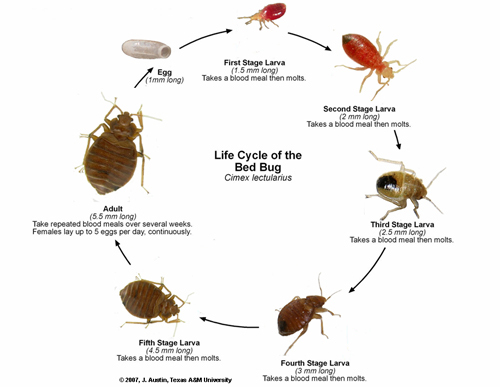 Bed bugs change in appearance based on where they are in their life cycle. They range from pin sized white eggs to small light brown nymphs to full grown bed bugs. 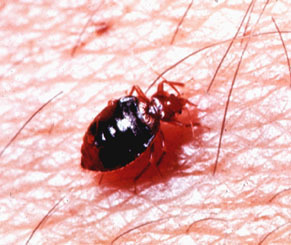 Bedbugs live for approximately 10 months. 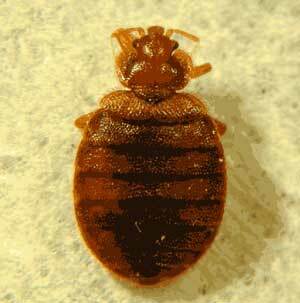 It takes bed bugs 4 months to develop into an adult. They must feed on a human host to move from stage to stage. Bedbug eggs are small, white and the size of a pin head. A female will lay 3 eggs per day. The eggs are attached to a surface with a cement like substance. Nymphs are lite brown and are approximately 5/100 of an inch in length. 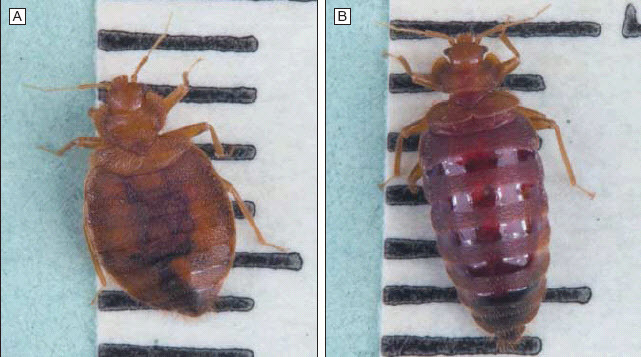 Bed bugs are dark brown or dull red. From a side view bedbugs are flat. 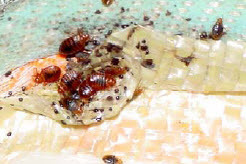 A bedbug will get significantly larger after feeding. A feeling will take 10 minutes. Feeds are usually several days apart.